Marvel released the details of their September solicitations today (see, for example, CBR), and it turns out that September’s offerings not only include Daredevil’s debut as an Avenger in New Avengers #16, but that we’ll have two issues of the main Daredevil title as well in Daredevil #3 and #4. (Less exciting, but worth noting, is that it appears that Daredevil will also guest star in Captain America Corps #4 of 5, but I’m not sure about the continuity of that one.) 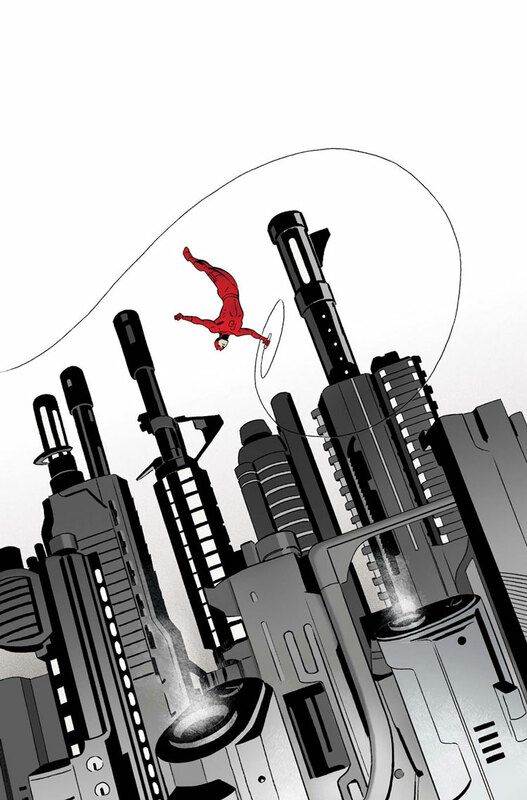 Click the image below to see the full cover to Daredevil #4, by Marcos Martín. As if this wasn’t exciting enough – and as you’ve noted, I have once again taken a short break from my hiatus to report this – yesterday saw Marvel release the first of five close-up looks at various aspects of Daredevil in the form of a series of interviews with Mark Waid. The first part featured a look at the man behind the mask and also showcased additional examples of Paolo Rivera’s art (unlettered pages). All fans of realistic looking white canes will be happy with what RIvera’s pulled out of the bag here and this is in fact our first glimpse of his artistic take on Matt Murdock. This series will continue through Friday with new installments every day so keep your eyes peeled for that going to the Comics News section of Marvel.com! Daredevil will also be appearing in Captain America Corp #4. I’m not sure if it’s a large role (there are many guest stars) or if that comic is even in continuity, but hey that’s 4 DD appearances in September!